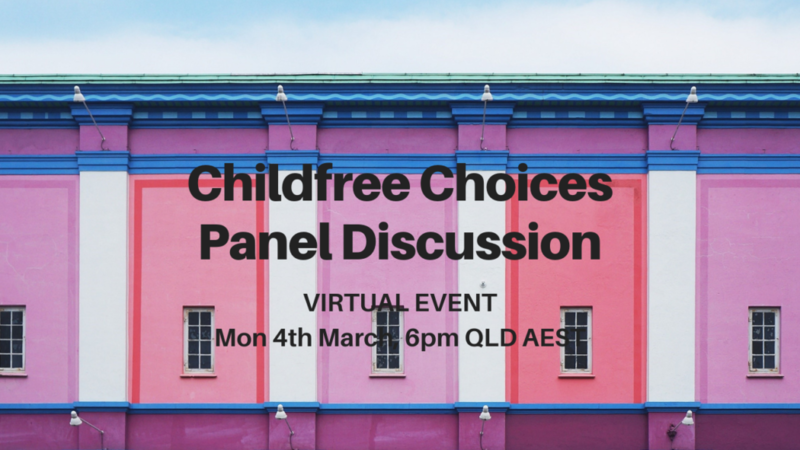 Childfree Choice Panel Discussion is a VIRTUAL EVENT for childfree women or women who are unsure if they want to have children. Our first event of 2019 will consist of a panel of women from different circumstances. During the online discussion they will each talk about their experiences and join in on a panel discussion, providing virtual attendees the opportunity to ask questions and get involved in the conversation. The online event also aims to help women who are unsure if they want to have kids, decide what is best for them and to make a decision that is right for you. It is also designed to provide a supportive, non-judgmental space for childfree women to sure their issues and challenges. This is a unique event so share the link with your friends, mother, father, partner, niece or anyone else you think will benefit from the conversation and insights shared. Tickets are $19 (charging a nominal attendance fee) to minimise no-shows.